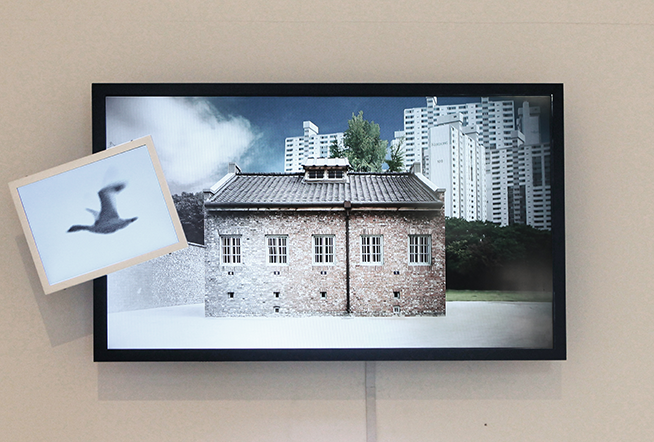 Guem MinJeong, "The Wind-Up Bird Chronicle_Prison for Woman", 2014, 2 LED monitor, Mixed Media, 65 x 150 x 15 cm. 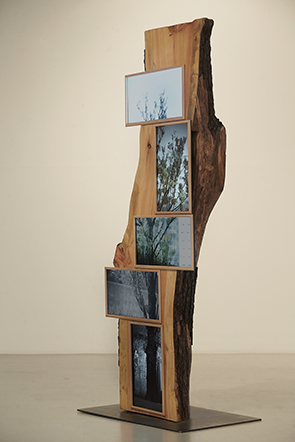 Guem MinJeong, "Wailing Tree", 2014, Wood, LED Monitor, 250 x 250 x 250 cm. 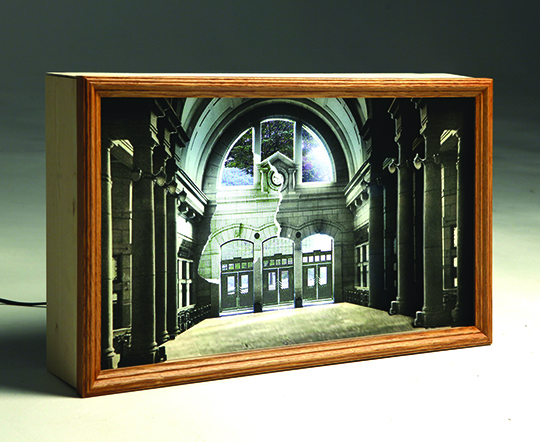 Geum MinJeong, "A restoration of the time-Old Seoul station", 2014, Video Monitor, Photo, LED Light Box, 35 x 32 x 7 cm. 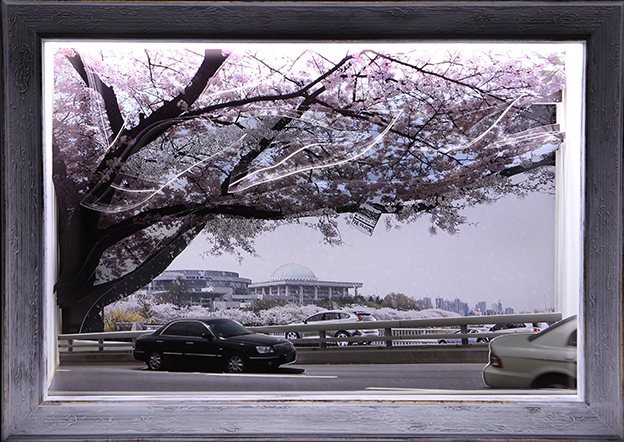 Geum MinJeong, "Cherry Blossom Festival in Yeouido", 2012, Video Monitor, Photo, LED Light box, 50 x 76 x 20 cm. 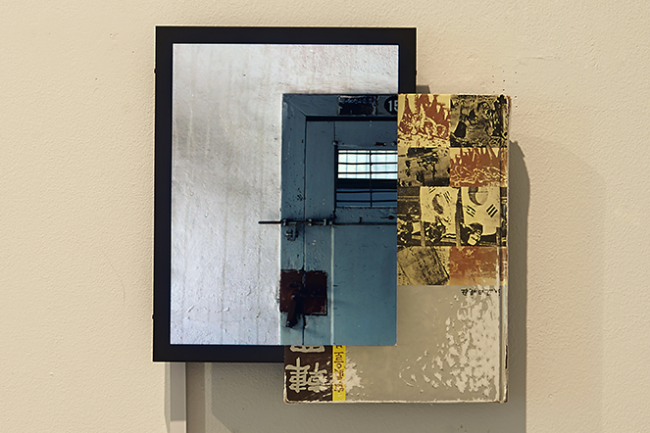 Geum MinJeong, "sites_imprisoned", 2014. text book, LED monitor, mixed media, 40 x 40 x 20 cm. Guem MinJeong, "In Case I don't see ya! Good Morning, Good Afternoon and Good Night! ", 2014. LED Monitor, Mixed Media, 90 x 130 x 70 cm. 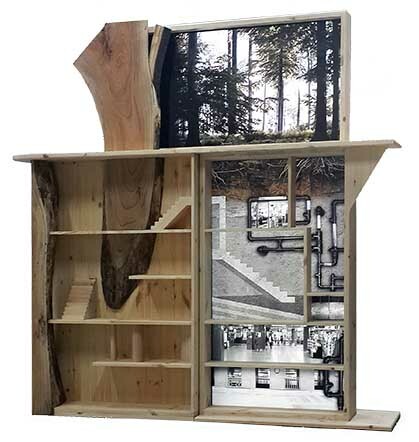 Geum MinJeong, "site: passed", 2014. 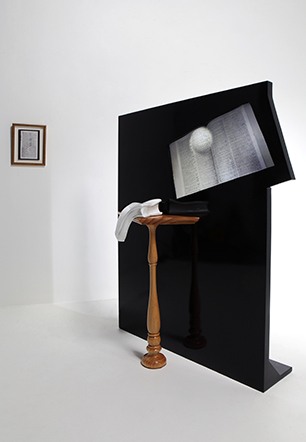 Book, LED monitor, Mixed Media, 27 x 55 x 10 cm. Geum MinJeong, "LOVE", 2010, Synthetic Resin, LED monitor, Mixed Media, 100 x 130 x 40 cm. 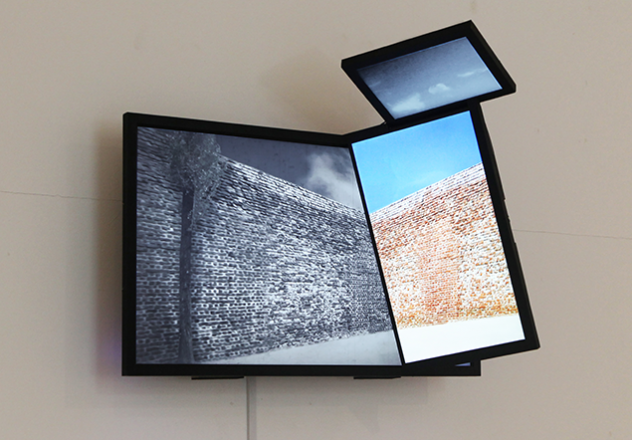 Guem MinJeong, "The Breathing Eyes", 2015, LED Media Wall, Wood, 190 x 180 x 30 cm.